Going to the dentist and taking care of your teeth is great and all, but you know what isn’t? Numb lips, numb cheeks, and a numb tongue. Eating and drinking becomes nearly impossible, and you also need to be worried whether you’re drooling or not. 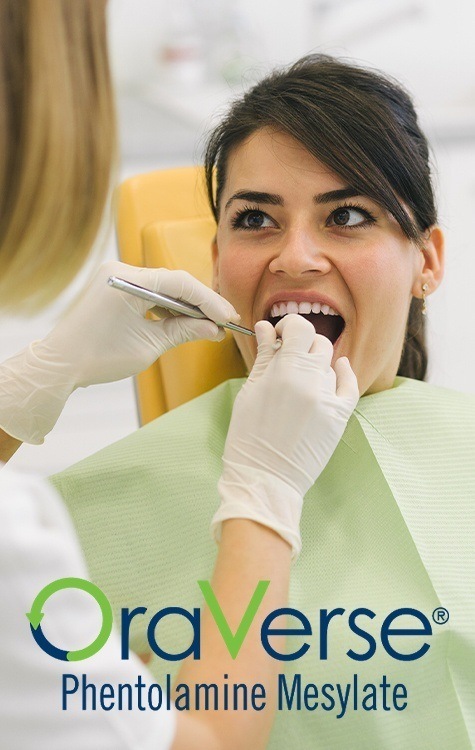 With OraVerse®, we can significantly cut down on the lasting effects of local anesthesia so you can get back to your life as quickly as possible. We’ll simply administer it the same way we did your local anesthesia, and it’ll quickly take effect. Often, it’s able to cut down on a patient’s lasting numbness by more than half!